Lehigh Valley, Pa. – February 5, 2019 – – Bulk Handling Systems (BHS) has been selected to supply the front-end recycling system for CarbonLITE’s newest post-consumer recycled polyethylene terephthalate (rPET) plant. BHS also provided the front-end recycling system for CarbonLITE’s Dallas, Texas facility, which began production in the fourth quarter of 2017. CarbonLITE is one of the world’s largest producers of bottle-grade rPET. The Lehigh Valley, Pa.-area plant will produce 80 million pounds of rPET pellets per year. Installation is scheduled to conclude in the fourth quarter of this year and the plant will be fully operational in 2020. The advanced plastics recycling system will be one of the largest in the world and allows CarbonLITE to recycle more than six billion plastic bottles per year, companywide. The system is designed to process 14 tons per hour and operate four shifts without manual sort labor. BHS has equipped the system with its latest technology, including artificial intelligence (AI) driven robotic sorters. 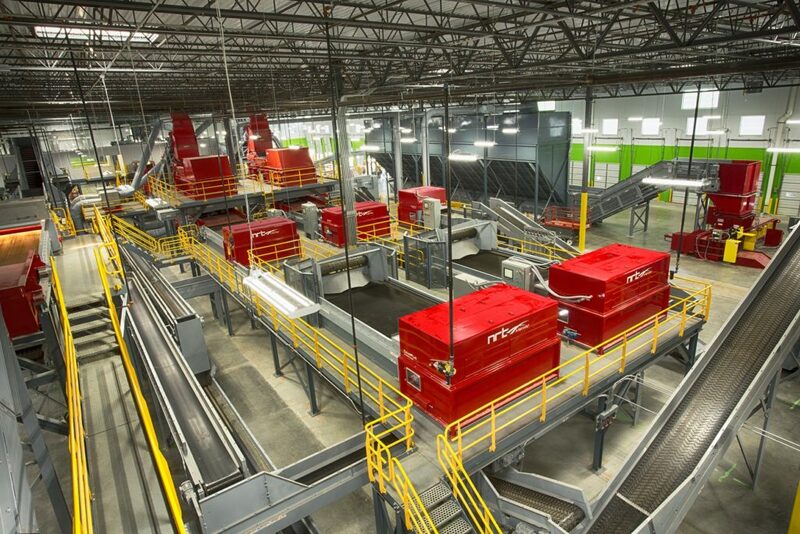 Max-AI® technology from BHS employs neural network-based AI to identify recyclables and direct sorting decisions for recycling equipment including robotic and optical sorters. Included are Max-AI AQC-2 units (for Autonomous Quality Control), featuring dual robotic sorters with each robot capable of picking and placing up to 60 items per minute. The system’s NRT SpydIR® with Max-AI units employ NRT’s In-Flight Sorting® technology to precisely identify PET plastic by polymer type while Max-AI technology identifies non-target PET. The Max-AI integration also allows for object recognition, black plastic identification and material composition analysis. The optical sensing and AI technologies work in collaboration, allowing the ability to suppress separation of clamshells and thermoform trays and target only PET bottles. The system also gathers material composition data and performance metrics from its AI and optical equipment, scales, motors, bunkers, baler and other sources, all of which is communicated to the customer with BHS’ new Total Intelligence Platform (TIP). This high level of intelligence provides operators with unprecedented control of the system and delivers both real-time and trending performance information. “BHS has been a valued partner throughout the years and consistently has new ideas to help our plants improve and operate successfully,” said CarbonLITE Chairman Leon Farahnik. “The BHS system, along with NRT and Max, offers unprecedented intelligence and performance that aligns with our vision. Through state-of-the-art facilities, technologies and equipment, CarbonLITE is fully invested in and committed to helping preserve our precious resources, reduce the PET industry’s carbon footprint, diminish our landfill problems and protect our waterways.” Farahnik concluded. “The CarbonLITE team has been aggressive in its pursuit of processing excellence and growth,” said BHS CEO Steve Miller. 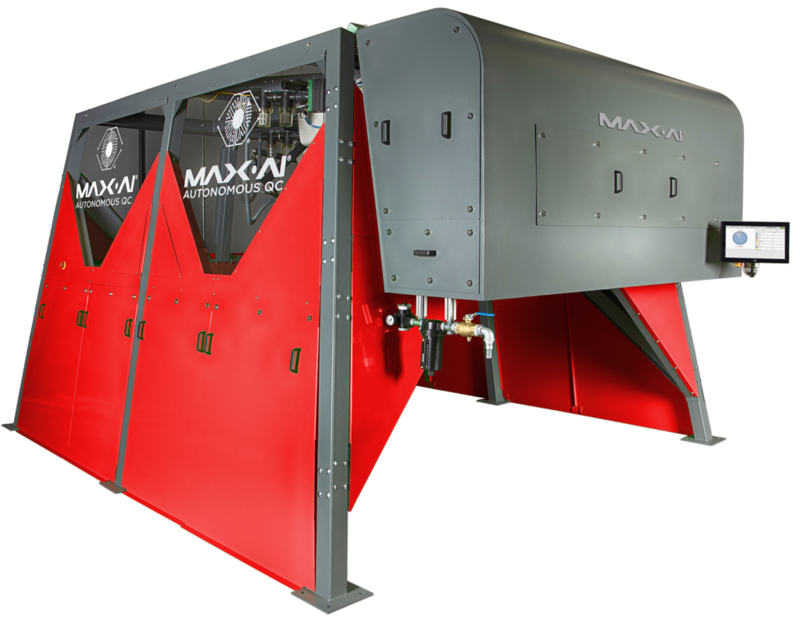 “This system really showcases what’s possible with the most recent Max technology – a fully-automated recycling system that can produce pure rPET feedstock 24 hours a day. The system will have the intelligence to analyze system health and capture performance metrics in real time. CarbonLITE’s actions continue to build up processing capacity in the U.S. while solving real world problems, and we’re appreciative of the opportunity to once again be a part of their success,” Miller concluded. CarbonLITE is one of the largest producers of food-grade post-consumer recycled PET in the world. The company specializes in processing used plastic bottles into bottle-grade PET resin flakes and pellets that can then be used to manufacture new plastic beverage bottles and other products. CarbonLITE currently operates plants in Riverside, CA (opened in 2012) and Dallas, Texas (opened in 2017), to supply some of the world’s major beverage brands. It currently processes around 4 billion used bottles annually (200 million pounds) to create a 120,000-ton-per-year carbon footprint reduction. Through new state-of-the-art facilities, technologies, and equipment, CarbonLITE is fully invested and committed to preserving resources and reducing the carbon footprint from PET bottle production. Headquartered in Eugene, OR, BHS is a worldwide leader in the innovative design, engineering, manufacturing and installation of sorting systems and components for the solid waste, recycling, waste-to-energy, and construction and demolition industries. Wholly-owned subsidiaries include Nihot (Amsterdam), NRT (Nashville, TN) and Zero Waste Energy (Lafayette, CA). BHS is also the home of Max-AI® technology, a breakthrough artificial intelligence that identifies materials, makes intelligent decisions and directs equipment such as robotic sorters. Clients around the globe choose BHS because of its experience, dedication to cutting-edge technology, quality construction and durability, and unmatched customer service. BHS has built some of the largest and most durable MRFs in the world – and they are achieving the highest throughput, recovery, and purity rates in the industry.